"Happily Ever After Begins Here." Thank you for your interest in Keswick Vineyards. Someone from our events team will get back to you shortly to coordinate your visit with us! 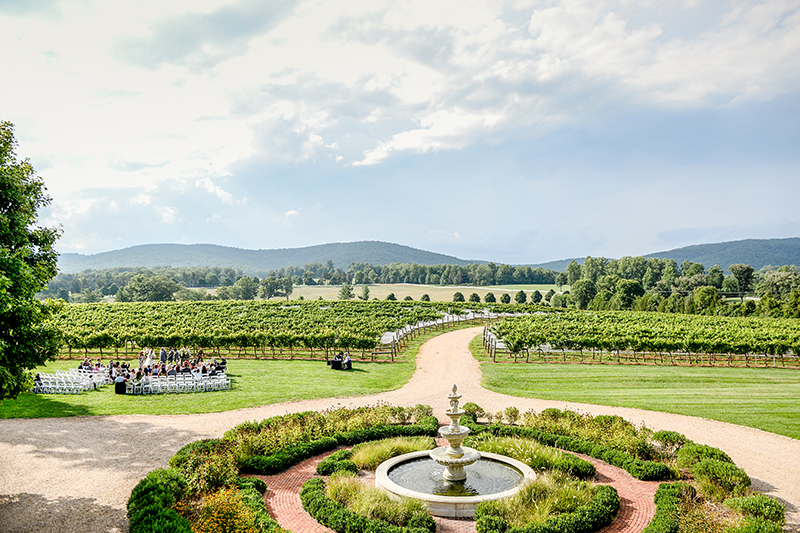 Nestled in a valley of rolling farmland and surrounded by the Blue Ridge Mountains, the pristine grounds of Edgewood Estate and Keswick Vineyards lend themselves as the perfect backdrop for your vineyard wedding ceremony, cocktail hour and reception. Your 12 hour rental begins at noon and goes until mid-night. With a private events space, your ceremony and reception times are flexible and up to you. Our hand-stitched Aurora tent provides an elegant and beautiful space for your reception, with sweeping peaks and solid wood posts. With tables and chairs, heaters, lights, fans, restrooms, bridal suite, groom's cave, and tents, we've got your basics covered & included for an all-outdoor ceremony and reception. 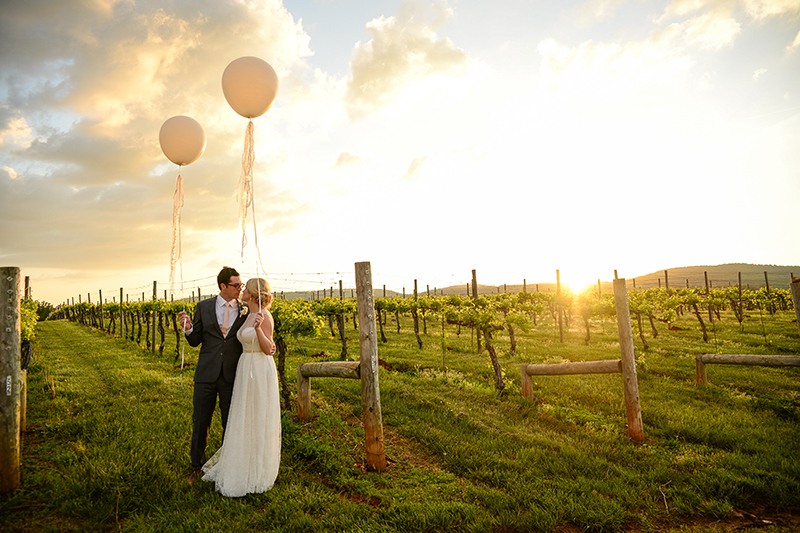 "We can't explain to you how incredibly thankful we are for having the opportunity to have Keswick Vineyards host our wedding. The only word we can think to describe our day is "PERFECT!" It was absolutely perfect! More than we could've ever expected. We couldn't have imagined a more flawless day and that is all contributed to the amazing Keswick Vineyards team. I can't begin to tell you how many compliments your team received from our family. From Brian kindly chauffeuring my grandmother around and checking in on her throughout the night, the relaxed and low-stress atmosphere, Cindy and Colleen having "This whole wedding thing down to a science. ", "So organized. ", "Seamless transitions. ", "Outstanding service." "Incredible!" and of course, the breathtaking views Keswick Vineyards has to offer. We were told numerous times that this was the most beautiful venue they've ever been to... and there has been a fair amount of weddings in our family. We can't wait to visit Keswick again and spend time in the tasting room, reminiscing about our perfect day. Thank you, from the bottom of our hearts for making our day so special!